The Jewish Federation of Metropolitan Detroit is an organization guided by an army of volunteers — men and women of all ages, at all stages of life, from all backgrounds. Generously giving of their time and talents, these dedicated lay leaders help Federation to identify community needs, develop programs to meet those needs and ensure that the resulting services are accessible to everyone. Whether involved in the challenging task of fundraising or the logistics of planning events, they are always ready and willing to answer the call. To honor these individuals and their admirable and much appreciated work, Federation’s Awards Night has become an annual tradition, recognizing the service and achievements of a select few who have gone above and beyond to improve the lives of others and build a strong Jewish future. 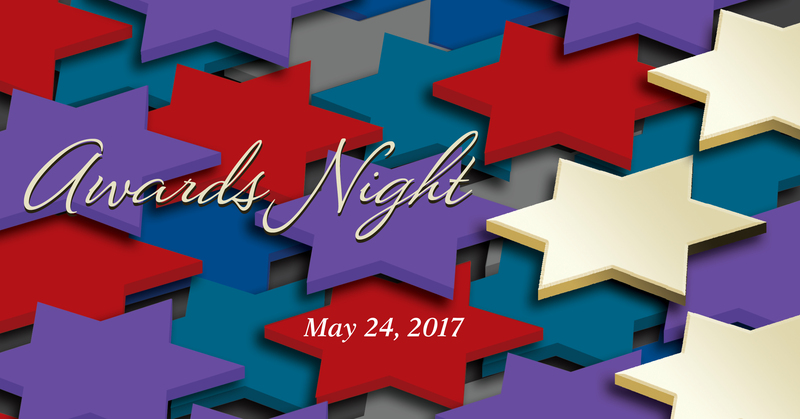 The entire community is invited to attend Awards Night on May 24, 2017 at 5:30 PM at The Berman Center for the Performing Arts in West Bloomfield. Throughout his life, John Jacobs has made it his mission to fight for those who could not fight for themselves. A native Detroiter, John attended Mumford High School graduated from Michigan State University and earned his Juris Doctor from University of Michigan Law School. Along the way, he met his wife Gilda and together they raised two beautiful daughters, Jessica and Rachel, of blessed memory. John grew up at Temple Beth El, but his family did not take an active role in the Jewish community. As an adult, he realized that he missed having a Jewish education. He and Gilda made the decision to created a strong Jewish environment for their daughters and joined Temple Emanu-El. John ultimately assumed the presidency of the congregation. John has served on the Boards of the Jewish Community Center, JVS, and Tamarack Camps and is a past president of Jewish Family Service and the Michigan Regional Advisory Board of the Anti-Defamation League. Additionally, he was chair of the Jewish Eldercare Services Committee (COJES), the Federation Community Services Division and the Government Relations Oversight Committee (GROC). John has been particularly drawn to serve in places where he felt he could make a difference. In the case of COJES, John recognized the needs of our Jewish elderly and sought to coordinate services for them. At JFS, he felt compelled to help those who were financially challenged or who suffered from domestic abuse, helping to make the Windows Program a reality. At ADL, he helped fight for those who did not have a voice, who would otherwise have been forced to work on Jewish holidays. In his role with GROC, he lobbied legislators for financial support for the Jewish community, ensuring that state dollars were allocated for Jews as well as Chaldeans and Muslims. 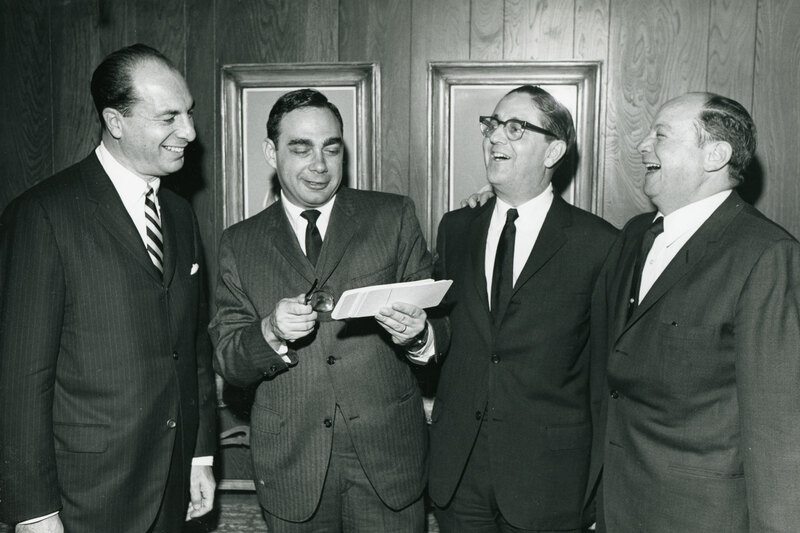 He also fought to strengthen the Oak Park/Southfield Jewish communities, recognizing the important role that they play in our broad Jewish community. The need to support others is at the very heart of everything he does. From the time he made his first gift to the Allied Jewish Campaign to the present day, John has been working to build a better future for everyone. Marjorie Krasnick was born and raised in Detroit in a home with parents who truly loved Jewish life and encouraged their children to get involved and give back to the community. Margie, a talented artist, has spent much of her life successfully combining her love of the Jewish community with her artistic prowess. Margie attended the University of Michigan and the Center for Creative Studies. While at U of M, she met Bill Krasnick, of blessed memory, married and raised a family of three boys. Today, Margie is proud to claim Neil and Sarah, Steven and Jodie and Bobby and Jane, along with her nine wonderful grandchildren. Margie’s first encounter with the Jewish Federation Women’s Department, now Women’s Philanthropy, took place when her sister-in-law invited her to a meeting. She immediately felt at home and made the decision to get involved. As an artist, she volunteered to make invitations. Her reputation spread quickly and, before long, Margie was busy making invitations and decorations, not only for Women’s Department events, but also for ORT, National Council of Jewish Women and Hadassah. Margie’s community involvement extended beyond her design abilities. 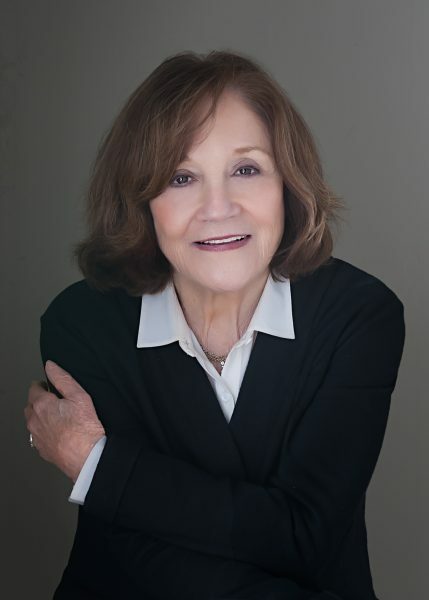 She assumed leadership roles in many organizations including serving on the Boards of the Jewish Community Center, Jewish Community Relations Council, Jewish Federation, Israel Bonds, Jewish Apartments and Services (now Jewish Senior Life) and Women’s Philanthropy. She also served on Women’s Philanthropy’s Education Planning Committee, Campaign Leadership Committee, Seder Committee and Tzedakah Experience. She was the first Chair of the $100 Event and has participated in numerous Federation telethons. Perpetuating Jewish life and giving back is second nature to Margie, and she has truly blessed our community with her time and creativity. Dr. Jennifer Sobol grew up in a home steeped in Jewish values and deeply involved with Adat Shalom Synagogue. As she grew, she witnessed the many ways in which the Jewish community embraced their family. 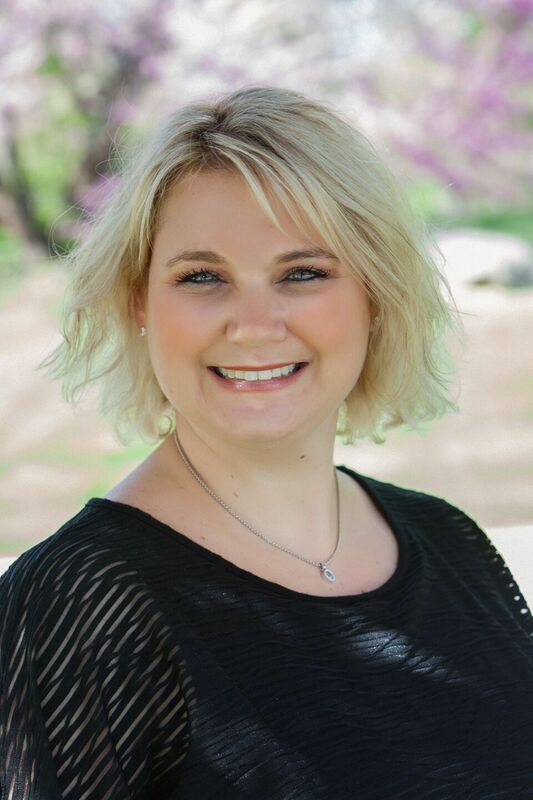 After graduating from high school, Jennifer enrolled at the University of Michigan and later attended the Philadelphia College of Osteopathic Medicine. She pursued a residency in urology at Albert Einstein Medical Center, and today she is a successful urologist with a busy practice. During her residency, she met a new attending doctor by the name of Lou Sobol. They married a short time later and are now the proud parents of 10-year old twin boys, Ezra and Ruben. The family is active at Adat Shalom, where Jenny serves on the synagogue Board. Jennifer’s community involvement began with her participation in Federation’s Shalom Baby (now jbaby detroit), JFamily and Young Women’s Philanthropy. She and her husband served as Chairs of the Israel and Overseas Young Couples Committee and as a host family for the Israeli Camper Program. With the rebirth of the Maimonides Society, Jennifer has combined her love of community with her dedication to her profession. She participated in both of the Maimonides missions to Israel and the mission to Cuba and is a Co-Chair of the Maimonides Programming Task Force. Presently, she is Co-Chair of the Maimonides Society and a current Board member of Tamarack Camps. Jennifer’s dedication to our community is evident by her experience with JELS and Hebrew Free Loan. She offered to continue making her loan payments, even after the loan was paid in full. That was her way to ensure that others will have the same opportunity to receive financial aid that she had. Jennifer believes that it is critical that people get involved, work together and help take care of each other. She successfully engages others, making them feel good about the cause while also encouraging them to recognize that it is their duty to help take care of our Jewish world. Rabbi Yisrael Pinson was born in Nice, France, where his parents were serving at the request of the Lubavitcher Rebbe. One of 14 children, Rabbi Pinson grew up in a family in which Yiddishkeit and Jewish tradition were central to their lives. He has studied around the world, including Israel, England and New York and received his Rabbinic Smicha from the Melbourne Rabbinical Institute in Australia. Rabbi Pinson Rabbi Pinson arrived in Detroit in 2000 to work as an intern at Friendship Circle. He met his wife Devorah, and today are the proud parents of Chaya Mushka, Menachem Mendel, Shmuel, Shayna, and Aryeh Leyb. In 2002, after spending a year in France, Rabbi Pinson returned to direct the Daniel B. Sobel Friendship House, a program that provides support and guidance to individuals and families struggling with life crises, such as addiction. He remained in that position until 2011, when he took the position of Development Director. Throughout his tenure at the Friendship House, he counseled hundreds of recovering addicts and their families and worked to build a recovery community for Metro Detroit. Today, he continues in a similar supportive role, offering assistance to those in a hospital or facility, in his work with the Jewish Hospice and Chaplaincy Services. 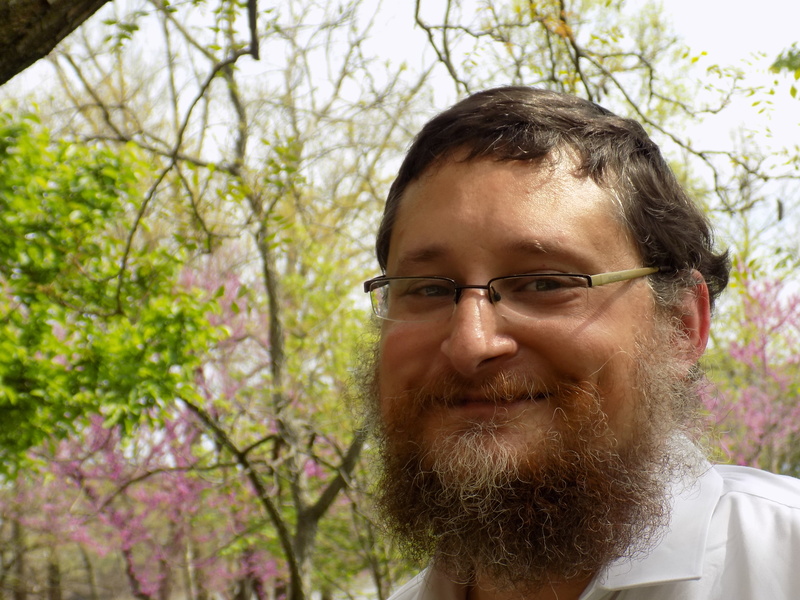 After leaving Friendship House, Rabbi Pinson began to focus on the young adult community. While working to recruit young adults to Friendship Circle, he joined what was then Federation’s Young Adult Division, now NEXTGen Detroit. He took a seat on the first NEXTGen Board and continues in that role today. He has also held leadership positions such as Vice-President of NEXTGen Detroit Affinities and has served on numerous committees, including Latke Vodka, Outreach, Menorah in the D and the Community Events Task Force. Additionally, Rabbi Pinson is often found at a Federation telethon, helping raise funds for the Annual Campaign. He is a current member of the Jewish Family Service Board and a former staff member of Frankel Jewish Academy. In 2013, Rabbi Pinson established Chabad of Greater Downtown Detroit, creating a center of Jewish life that offers friendship, educational classes and social and cultural events, while promoting volunteer opportunities for Jews, wherever they might live. Through the Chabad of Greater Downtown Detroit, Rabbi Pinson has built a bridge that connects Jews with the City and helps them find purpose, meaning and a place of comfort and warmth. At the heart of what Rabbi Pinson does is his profound belief that every person has a mission and purpose that is G-d- given. His goal is to help everyone, Jew or non-Jew, fulfill that purpose. Steve Migliore is a native Detroiter who grew up in Farmington Hills. His mother believed in the importance of Jewish education and enrolled her sons, Steve and brother Matt, at Temple Beth El. 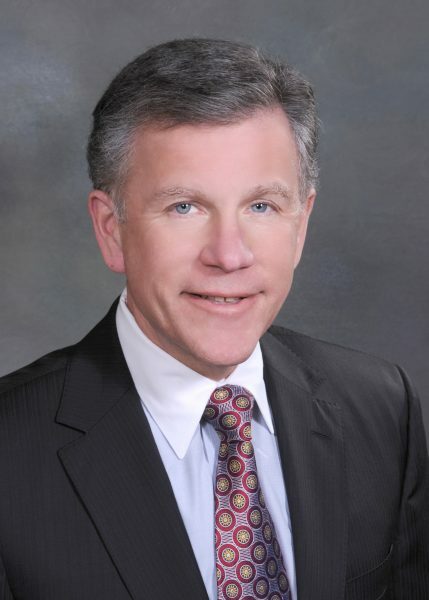 Upon graduation from North Farmington High School, Steve attended Michigan State University and then entered a combined JD/MBA program at Wayne State University. Along the way, he met his wife Jessica and today they are the busy parents of three young children, Alexa, Jacob and Dylan. The family affiliates with both Adat Shalom and Temple Israel, maintaining and building their connection to Jewish life. By day, Steve is a partner at the Honigman Miller law firm, specializing in mergers and acquisitions. Despite his family responsibilities and the demands of his law career, he still finds time to give back to the community. Steve’s involvement began with the NEXTGen Detroit Couples Committee. He and Jessica joined the group, a step that opened the door to other NEXTGen Detroit programs, including Entrée, which aims to inspire participants to give their time and talents to our community. In the case of Steven Migliore, it did all of that and so much more. 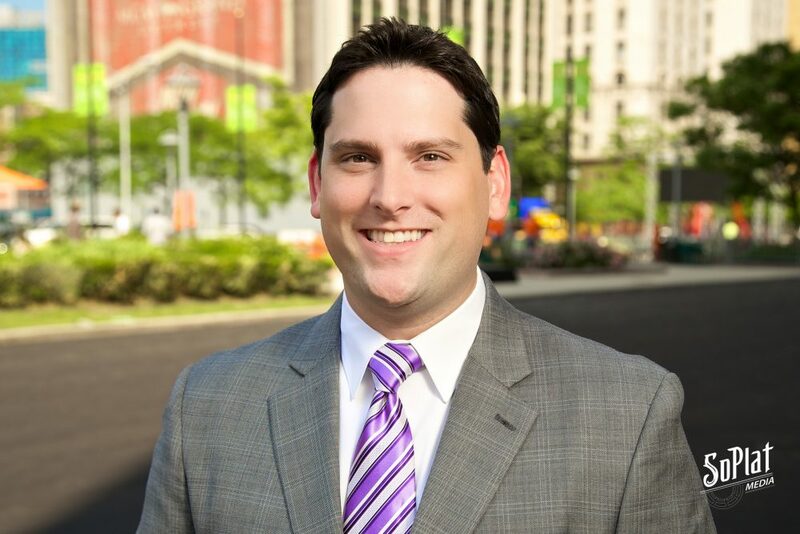 Steve welcomed all that NEXTGen Detroit had to offer and joined numerous committees, including Entrée, Campaign Council, Latke Vodka and EPIC and was a Co-Chair of Elevate, the Becker All Star Mission, NEXTGen Detroit Campaign and Entrée. In 2013, he became a NEXTGen Detroit Board member and in 2015 he assumed the office of president. 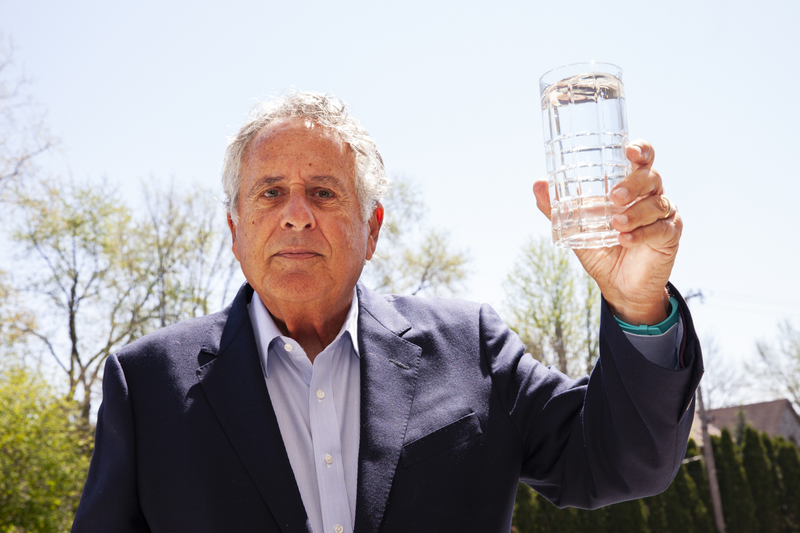 He is also a Board member of Michigan State Hillel and the Jewish Federation. During his tenure, the NEXTGen Detroit campaign grew by 15% and donors increased by 67%, from 1,500 to 2,500. He also played an important role in two new NEXTGen Detroit initiatives, Interfaith Couples and Pride, two outreach and inclusivity programs are responsible for the return of many young adults to the Jewish community. Steve Migliore is a mentor and friend to many. He works tirelessly to ensure a vibrant and strong Detroit Jewish community for his children and the generations to follow.